Estonian Prime Minister Taavi Roivas said on Friday that Estonia is ready to host additional NATO troops Public Broadcasting reports. He made the comments during a meeting with NATO Supreme Allied Commander Europe General Philip Breedlove. Roivas and General Breedlove met in Mons, NATO’s European forces supreme headquarters SHAPE, to discuss the security of the Nordic-Baltic region, strengthening NATO deterrence and the implementation of decisions made at the Newport summit in Wales in September of last year. “I want to thank General Breedlove for the quick and decisive work to increase the security in our region,” said Roivas at the meeting. “Russian aggression in Ukraine has fundamentally changed the security situation in the whole of Europe, and NATO has responded with higher readiness,” said the Prime Minister, who feels that the NATO presence in Estonia and the neighbouring countries should be increased. Roivas stressed that the Estonian government is fully committed to implementing the decisions made at the Wales summit and strengthening NATO deterrence, including the permanent presence of allies in the Baltic region. “We discussed with General Breedlove the following steps, including increasing the allied presence and advance positioning of equipment in Estonia. 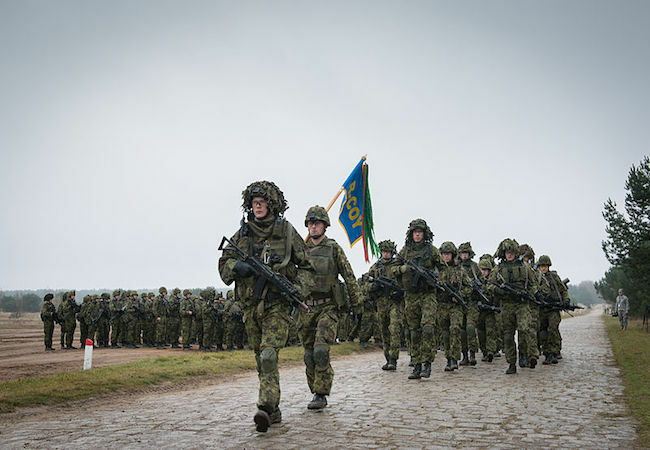 We have received assurance that the investments planned by Estonia in expanding the Defence Forces’ central training field and building barracks and warehousing facilities for the allies are contributing to a quick increase in the presence,” said Roivas. The government will make a decision about whether to increase the presence of allied forces next Thursday. The total investment is more than 40 million euros; this will enable Estonia to host a bigger number of allied troops and also to station advance positioning equipment, tank practice field and NATO headquarters in the country.